Yes, spring is back south-central Kentucky. We start our morning in the low 60’s which is only the beginning of our warm-up before rain sets in on Saturday giving us two warm and windy days, then wet weekend. Today’s temperatures will reach the high 70’s behind 20-25 mph winds with higher gusts. We should a lot of the sun today, too. Altogether this is great weather. Where has this been all April? There is no chance of rain today. Low temperatures will only be in the mid-50’s. 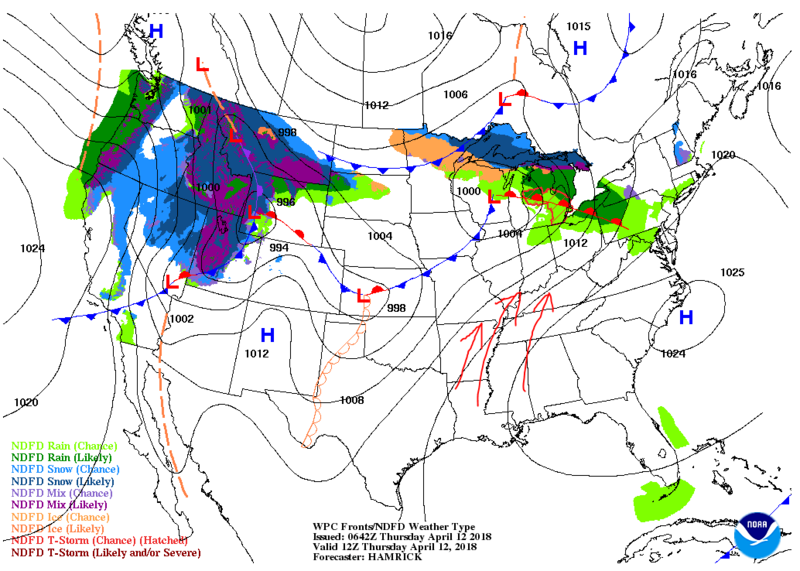 A strong low pressure system will be off to our west on Saturday and will draw up some moisture (rain) in front of its cold front this weekend. 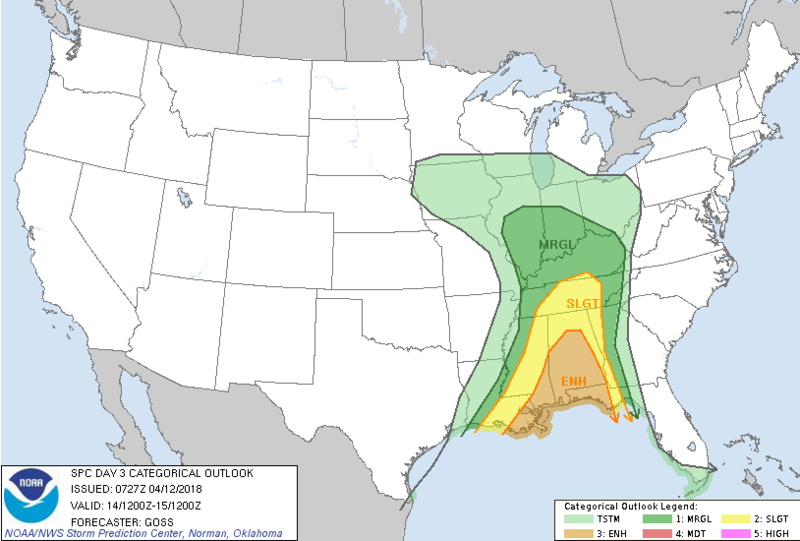 Lines of storms could fire up before the front on Saturday giving us a marginal (1 out of 5) chance of severe mostly for damaging wind on Saturday according to the Storm Prediction Center. The front is forecast to slow down this weekend making us rainy longer, as in from Saturday morning until late Sunday. You may want to plan indoor events for Saturday with the high in the low-70’s, thunder, and rain likely. Sunday has more rain chances before the cold front finally pushes through Sunday night cooling us down again. I just want to give our gardeners a heads up that even though your almanac and seed packet says the last frost date is April 15 (Sunday), do not plant anything during this warm up because it looks like we will have a final frost on Tuesday the 17th. Follow @wxornotbg for the latest updates.